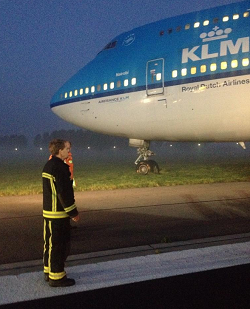 The Boeing 747 departed paved surface during landing run at Amsterdam-Schiphol Airport and became stuck in the grass. All on board remained unhurt. 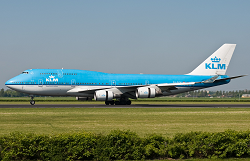 On landing at runway 18R (Polderbaan) in pre-dawn darkness, the aircraft began to veer off the the right of track during deceleration process. Its nosegear left the paved shoulder of the runway travelled about eight meters further until it came to rest in the grass. The maingear remained on the side of the runway. 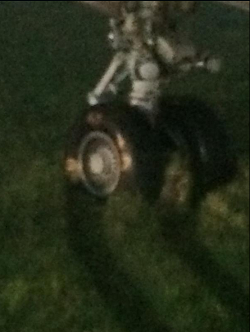 The incident occured after about 2/3 of the runway probably between high-speed taxiways „Whiskey 4“ and „Whiskey 5“. There were no injuries among passengers or crewmembers. All passengers left the aircraft on the spot via mobile airstairs. Damage to the aircraft is minimal if any. 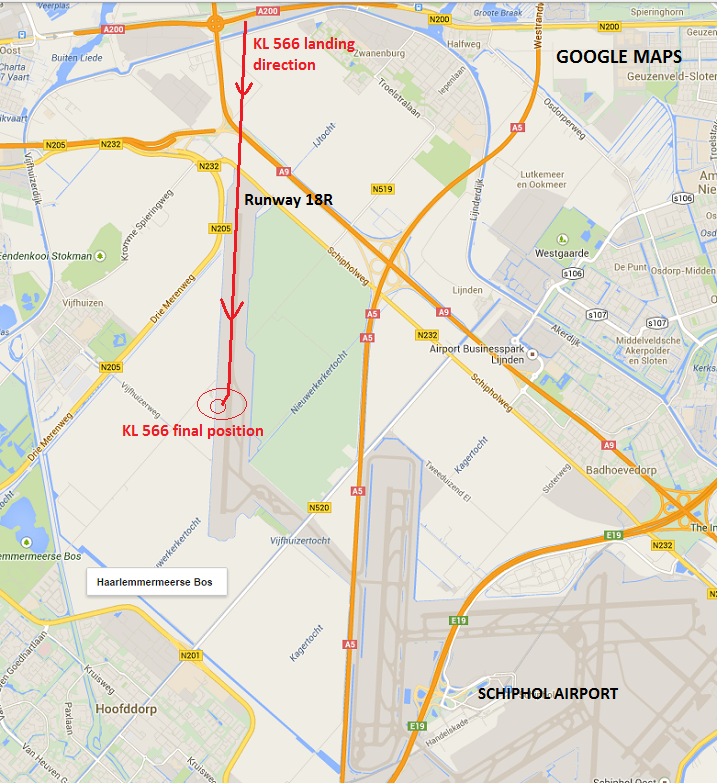 Runway 18R/36L was closed for all traffic until the 747 was removed and towed to the ramp at around 11:00L. At the time of the occurence, the visibility was reduced to 2400 meters in fog. Early reports indicate the pilots reported steering control problems after the autopilot was disconnected during the landing run. Other reports suggests a brake failure may have occured. NOTE: This incident marks the 2nd major safety occurence the PH-BFN (msn 26372) . The aircraft received major damage during a towing incident in FEB 2006.